← Does the Pictish Beast Symbol represent the astrology sign of Capricorn? 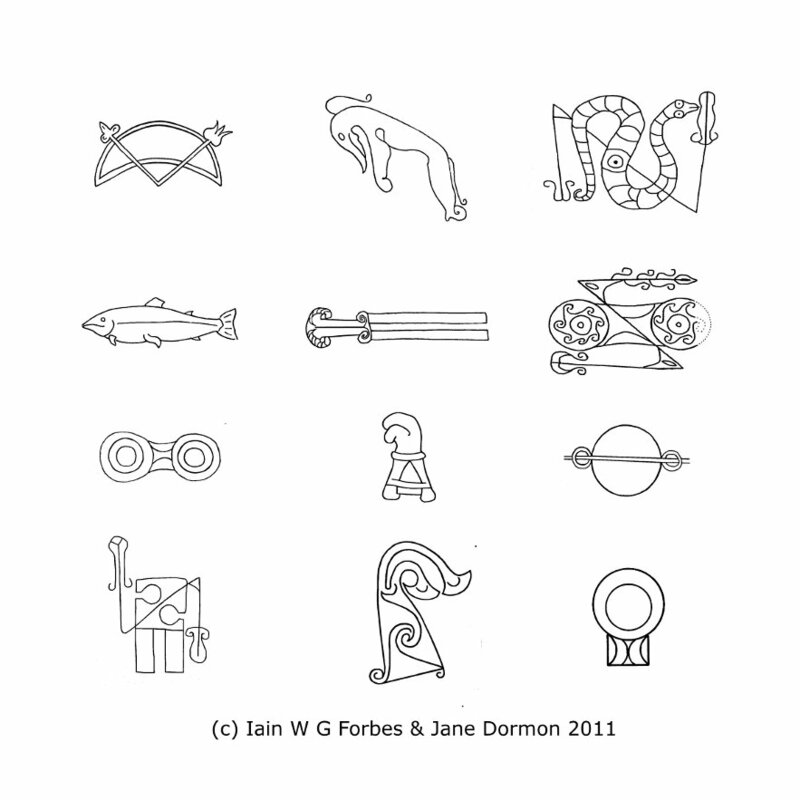 Posted on April 3, 2013, in Pictish History and tagged Archaeoastronomy, Archaeology, Astrology, Astronomy, Capricorn, Celtic, Celtic Religion, Druid, Druids, Ecliptic, History, Leo, Lleu, Lugh, mysteries, Pictish, pictish stones, pictish symbols, Picts, Retrograde, Scotland, Scottish, Scottish history, Solar, Vedic. Bookmark the permalink. 6 Comments. Ian; all of your prior work is acknowledged in that the idea of celestial origins for the DDZ is correct. The key is understanding is that ancients used drawings to convey messages and then described the drawings in the mythology. When you think about it, it is obvious. Imagine, if you will, how one shall describe the Zodiac? Does it run in a horizontal fashion? Is it up and down or side to side? Does it “bend” around a point like the pole star? Does “bend” mean tribulation or pain? Did he suffer to cause that which is seen? Is it a combination of language and emotion; translation and devotion? At least that is what I think after spending four years studying mythology. Very interesting article. Do you think there is any relation of the Z shape to the sæwelō rune in Younger Futhark, meaning “sun”? sorry for ther delay in replying. Yes, I think you may have hit on something. I’m no expert on runes but it certainly seesms possible! I am not involved in any expertise on Pictish culture other than in the 1960s I travelled out from Belfast (Northern Ireland) in pop bands to do dancehall gigs sometimes in the old Pictland area of Scotland, and Strathpeffer in particular. And for some reason also I always remained mindful of this event. Recently on the internet, I came across an example of a Pictish “horseshoe” or “arch” design found on a stone monument in fact in Strathpeffer. Because of my travelling minstrel pop-rock muso Zeitgeist so to speak I acquired odd bits and pieces of information that seemed to fit together in general recollections of the old days travelling out from Belfast; and especially in view of the fact that in a 1999 publication Saint Patrick–The Man and his Works by Thomas O’ Loughlin where in St P’s Epistola at E2 and referring to Coroticus and raiders that they are “allies of the Irish and the apostate Picts”, this coud only but indicate a direct link between the Irish and the Picts in Scotland via the old province of Ulster. Of course I did not know this as such in Strathpeffer doing the dancehall gig but when I came across the Strathpeffer Pictish puzzling “horseshoe” figure I recognized it as like an Irish gold collar of 8th century BCE which also were found in Spain which seems involved in the Strathpeffer argument. century BCE going by this Strathpeffer experience so to speak in 1969? Along with the Strathpeffer “Irish-like” collar design “horseshoe” carving, actual bronze age crescent moon lunulas seem to follow on as of the same symbolism as the Pictish v-rod crescent moon carving. I hope this might be of interest to you. Sorry for the delay in answering. Yes, there are many links between these ancient cultures. I think some of the scenes on Pictish stones may even be pictorial versions of Irish / Celtic myths of the sky. There are also references in Irish writings to the ‘Picts of Antrim’. The three sided harp may also have originated among the Picts, with 8 of the 9 oldest depictions of the Harp or Clarsach appearing on Pictish stones. The old Irish word for a harp was ‘cruit’ possibly derived from the Irish word for Pict (Cruithneach). Similar words were used to describe the ancient people of Dalriada. The arch might represent the milky way, or perhaps the constellation of Libra (some versions look like a flattened version of the scales).